Crates are widely acclaimed as the ultimate, totally necessary puppy potty training tool. It’s true – by confining your puppy to her bed, you can take advantage of her natural instinct to avoid soiling her sleeping space so she’ll learn to “hold it” until you take her out. I wrote about potty training a puppy with a crate. It is possible to crate train and potty train at the same time, but it’s simply not for everyone. Or, maybe you just don’t have a crate, and don’t wish to buy one. You could find one cheaply on Craigslist or a local buy/sell Facebook group. Perhaps you don’t have room in your house. Or, like some people, you might not find crate training ethical. Short-term crating isn’t cruel, but you can decide what’s best for your puppy. Regular mealtimes are essential when you’re potty training without a crate. A puppy will usually have to pee and poop 5-20 minutes after a meal. If you always keep her bowl full, her bladder and bowels will be less predictable. Take your puppy out as often as possible, regardless of whether or not you are using potty pads. Puppies will not let you know when they need to go. If you catch your puppy having an accident, you can stop it by picking her up and bringing her to her pad or outside. Praise her when you get there, whether or not she manages to get any poop or pee in the right spot. Resist the urge to shout “no!” or punish your dog in any way. Yes, you’ll see fewer accidents as a result – but you’ll find them later behind the couch. Punishing your puppy for an accident results in a shyness to relieve herself in front of you. It’ll be much harder for her to relieve herself on walks. She may hold it and relieve herself in a private corner of your home instead. Your puppy will relieve herself where it is most comfortable for her to do so. If she’s afraid of you, she’ll avoid going in front of you. Even picking your puppy up mid-accident can be scary for her. Always do this quietly and calmly, if it all. Clean up, try again. It’s not your puppy’s job to be perfectly potty trained – it’s your job to prevent accidents to set her up for success, so pottying in the right spot becomes a habit. Before your puppy is reliably potty-trained, you’ll need to limit their access to your home when you are not around. You’ll need to decide whether or not you’ll use potty pads. Small breed, young puppies can have a hard time with bladder control, so you may find it nearly impossible to get your dog outside in time. If that’s the case, it’s better for your dog to use potty pads and transition to outside later, than to keep having accidents on the floor. Don’t cover the floor with potty pads. Instead, choose one area to place your potty pad, and lay down just one. If you have a large room, you may want to designate multiple potty areas. It’s very easy to teach a dog to use potty pads. Simply place your puppy near the potty area until she uses it. She may prefer the soft paper surface over pottying on a hard floor. If she has an accident, clean it up with a new pad, and lay it in the potty area. The scent of her own pee and poop will attract her to the spot. You can create a scented potty area outside, too. Dogs usually relieve themselves in the same areas over and over again. That’s why you need to clean up accidents with an enzyme cleaner to prevent repeat accidents. Tethering is a useful tool in crate-free potty training. Leash your puppy, then tie the leash to your waist. That way, your puppy will always be close to you, making the odds of her having an accident without you noticing very unlikely. Some puppies will pee or poop suddenly with no warning signs, even when tethered to their owner. Tethering also allows you to react quickly and lead her to the potty spot without picking her up. When you’re sleeping, you won’t be able to keep your puppy from having an accident. If you’re a light sleeper, try sleeping with your puppy in bed with you. Snuggle with puppy close to your chest. You’ll wake up if she stirs, so you’ll be able to bring her to her potty spot. Puppies need to relieve themselves upon waking up, and very few can sleep 6-8 hours without a potty break. If you can’t sleep with your puppy, confine her to her puppy-proof room, preferably with a puppy pad. Some puppies will bark if they need to go outside, but chances are, if she’s in a space larger than her bed, you’ll wake up to an accident on the floor. You can also set an alarm to wake up and take your puppy out every 2-3 hours for nighttime potty breaks. If you take her out frequently enough, and make sure she’s sleeping before you go back to bed, you can get through nights without potty pads. If you love sleep, you’ll probably want to use the pads. Your puppy may naturally begin scratching at the door, staring or barking at you when she needs to go outside. Many dogs do not, however. Your puppy can benefit from learning to ring a potty bell when she needs to go out. Slowly introduce your puppy to each room of your house, fully supervised, until you can trust her to run to her pad or let you know when she needs to go outside, instead of squatting wherever she is to relieve herself. Subscribe for more puppy tips! Its a very nice post. Every puppy owner must know each and every detail about his adorable pup. Training a puppy is such a hectic job for beginner. One must keep a close look at puppy each time, so that he shouldn’t make any mistake. 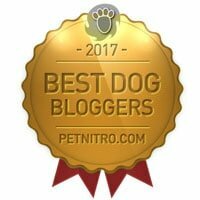 Your post has highlighted various points on puppy training. 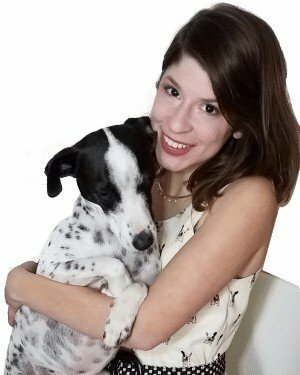 Hi Lindsay, your blog is very helpful for the beginner’s who don’t know how to train their puppy without crate. Thanks for sharing such an informative blog. That is great idea to use potty pads and transition to outside. I will try to teach a dog to use potty pads. This is an informative article. Thanks Lindsay. Housebreaking your puppy without a crate can be very challenging task. Using this specific training is more easily done in practice with small dogs due to the smaller volume of waste that is produced by a larger breed. Agreed with each and every point written in the post. Puppies are delicate and they need to be handled with proper care and love. If you handle them by showering love rather than hard punishments, you can teach them anything. Even to potty without a crate. I am a dog owner and she doesn’t potty everywhere. She has chose her own place for relaxing 🙂 . I have a havanese that is two years old and still pees in the house. I tried to crate train her but she ended up making a huge mess in her crate and I had to give her a bath daily! Any suggestions! I take her out about every hour and she still goes in the house! !